A $100.00 non-refundable deposit is required to reserve your cake date on our calender and will be credited to your final balance. 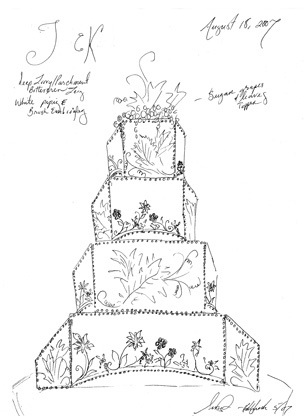 After ordering your cake, final design and flavor choices must be made 4 weeks prior to the date of your wedding. 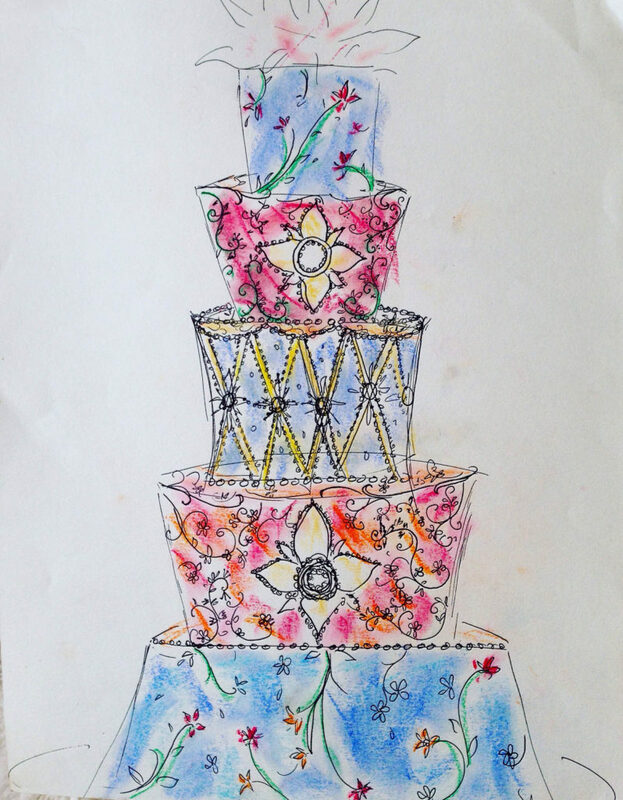 Our wedding cakes are priced from $10.00 per serving, varying according to the complexity of the design you choose. The final price is determined by the design and number of servings you select. Delivery fees are determined by the distance, time and set up requirements. 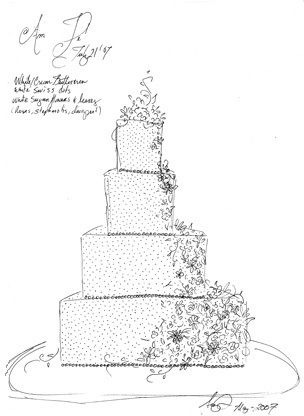 After ordering your cake, the final serving count, flavor choices, and design changes must be made 2 weeks prior to the date of your wedding. Hollyhock Cakes is located in Santa Cruz, California. Delivery area covers entire San Francisco Bay Area and Monterey Bay region, from South Sonoma County to Big Sur. 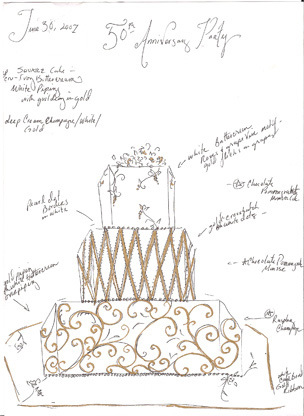 Every one of our cakes is custom made to reflect your unique celebration. 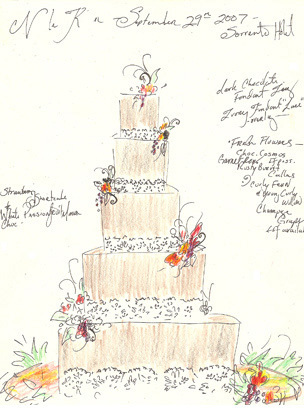 To create your perfect cake, it is helpful to have made venue, floral, and theme decisions prior to your consultation. Sample boxes of freshly baked cakes are available. Please contact us with any questions, or to schedule your consultation.